The area of the cemetery is 2.7 acres, and it holds around 5000 graves, in very high density. As early as 1932 only people who bought burial plots at prices which increased over time, where buried in this cemetery. 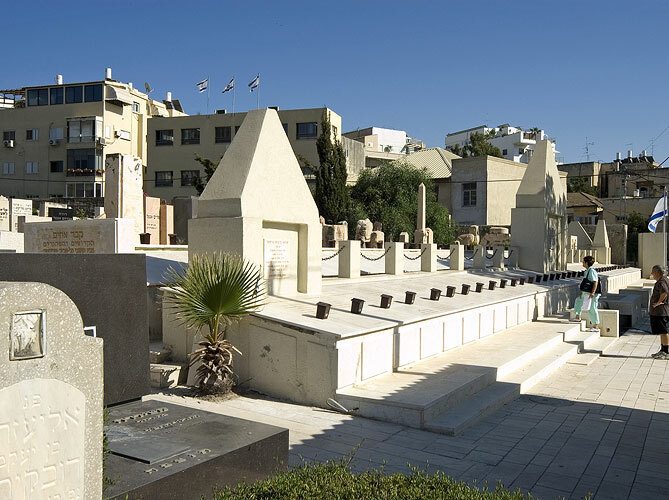 The gravestones of the cemetery tell the stories of Tel-Aviv and the Hebrew settlement from the beginning of the century, but despite that, it seemed like no-one is responsible for the restoration of the site. Many graves and tombstones have reached the state of decay, and many have fallen and broke. Among some of those which were shattered on the floor, there were the ones which their concrete and marble pieces where still in the area of the original grave, and those had the chance to be reconstructed, while others had many missing pieces and may never be reconstructed. In 2005, the Ministry of Defense was the first body to sponsor a project for the reconstruction of a cemetery. This way, by transforming a part of the cemetery to be a military plot, it helped to fund a project for the construction of a monument for a mass grave for those killed in pogroms in the 1920s and 1930s, and the restoration of the whole entrance area to the cemetery. Surrounding the mass grave, a new stone foundation was built, which enables seclusion around each tombstone, and above the graves, three new monuments where built from concrete. Prior to the restoration, pedestrians descending towards the beach on Trumpeldor Road could not find a clue for the existence of a cemetery behind the tall stone wall which accompanied them. One of the aims of the project was to expose the existence of the cemetery and to include it in the urban activity. In order to make that happen, a number of openings in different sizes where created, which enable a variety of looks in to the silent historic site from the bustling street and vice versa. Around the mid 1980s, the Kadisha company was responsible for the construction of a prefabricated concrete wall along the trail coming from the Trumpeldor Road entrance. The wall was constructed facing the tombstones, thus creating another separation on the site. Part of the project was to remove the wall and have benches built on its foundations, which also serve for lighting. The new trail which was created, along with the benches allow for tours and guidance, while looking at all parts of the site.